CMH Nissan Highway R1 Carwash and Family Day! Let’s have some fun in the sun! 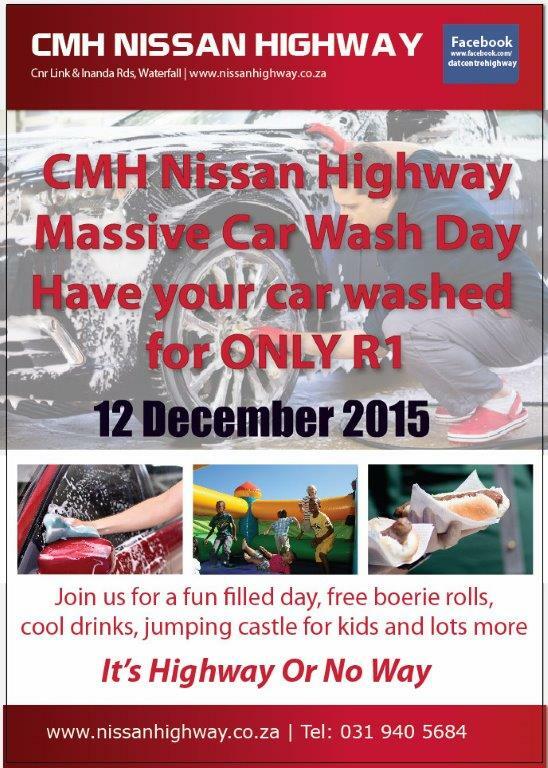 Join us for a fun filled day at CMH Nissan Highway R1 Carwash and Family Day on 12 December 2015. Get your car washed for only R1, and enjoy a free boerie roll. There will be a jumping castle for the kiddies, refreshments available and lots more! Come join us at CMH Nissan Highway, corner of Link Road and Inanda Road, Waterfall, Upper Highway Area.